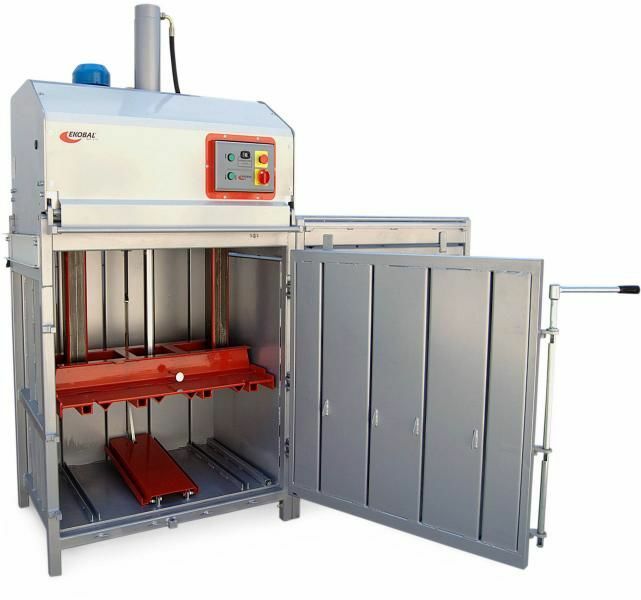 Chamber category bale press is designed with stable construction a fixed pressing chamber on which it is stored a sliding-over pressing head. Pressure is realized by hydraulic cylinder with adjustable press force, which ensures long-term reliability in achieving high pressure. Press chamber is filled from the top after pressing head is moved to opposite position. The front door allows easy removal of the bale from chamber. Product is suitable for small, middle and also for big size companies and organizations such as supermarkets, junk centre, stocks, factories, warehouses etc.